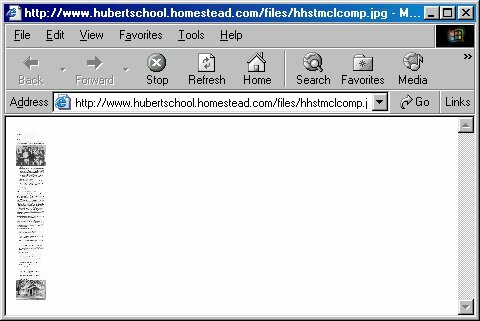 Here's the problem..... you click on one of the readable picture links on the "Our History" page or a large picture file and you get another window with the pictures and text appearing as it is being downloaded to your browser. All of a sudden the whole thing shrinks down and jams up against the left side. Here's the answer....up at the top of your browser, click on Tools. You'll get the Tools menu as shown below. 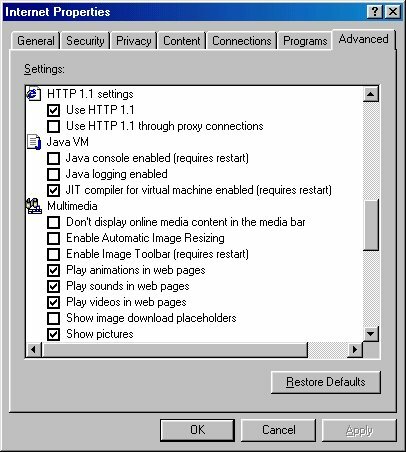 Click on Internet Options. "Enable Automatic Image Resizing". UNCHECK THIS BOX. That should solve the shrinking image problem. Then, when the viewing box is shown, use the scroll control at the right and on the bottom of the viewing box to see all of the picture.